Accolades continue to come in for Eastman Business Park-based NOHMs Technologies. The recent recipient of SBIR grants from NASA, the National Science Foundation and the New York State Energy Research and Development Authority (NYSERDA) – plus another $1.64 million Department of Energy award from the auto-industry-supported U.S. Advanced Battery Consortium – NOHMS recently was named a top 10 start-up company to watch by Chemical and Engineering News (CE&N), an industry trade journal. 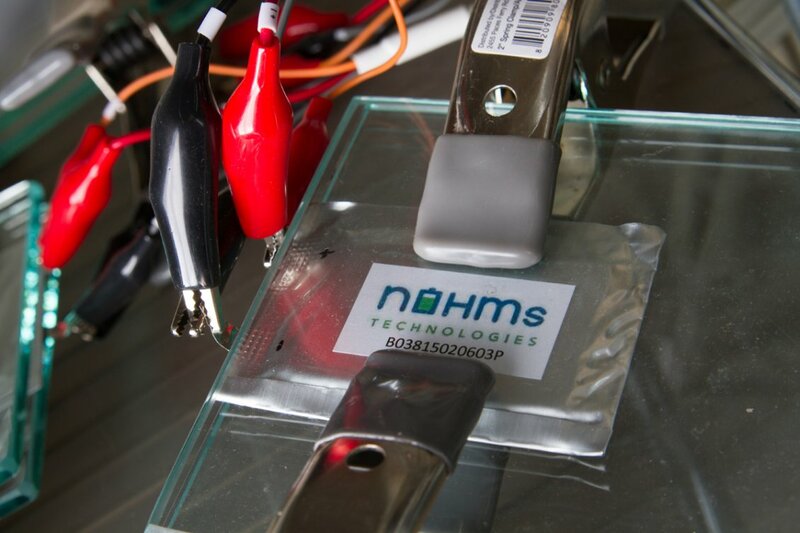 In its November 2nd cover story, C&EN stated NOHMs was chosen for its ongoing research into new electrolytes and high-voltage cathodes that pack more power into lithium-ion batteries and provide protection against degrading. C&EN Senior Editor Lisa Jarvis said the publication selected NOHMs and nine other companies after “polling knowledgeable staffers, scouring databases of start-ups, and asking tuned-in sources for recommendations. A team of business reporters then narrowed that long list to the 10 firms highlighted here. Our goal was to represent the breadth of chemical sciences and showcase companies that are taking ambitious, sometimes contrarian, approaches to developing novel technology." “We believe these companies display excellent science," Jarvis said. “We also acknowledge the oft-cited statistic that nine out of 10 start-ups fail. Inventions that seem promising sometimes have a fatal flaw. Even companies with sound business plans aren't immune to the challenges of making the leap from idea to marketplace." However, Jarvis acknowledged that NOHMs has a way to get a jump-start toward the commercialization of its technology: “Its location at Eastman Business Park is helping speed the process – the Eastman Kodak complex hosts infrastructure for manufacturing the materials and prototyping and testing new batteries" via the New York Battery and Energy Storage BEST Test and Commercialization Center, which is located at the Park. “We're both excited and honored by the recognition from this noted and reputable science journal," NOHMs CEO Richard Delmerico said. “We congratulate the other companies who also were named to this elite list, and we wish them much success in the future." Tagged: batteries, NOHMs Technologies Inc.